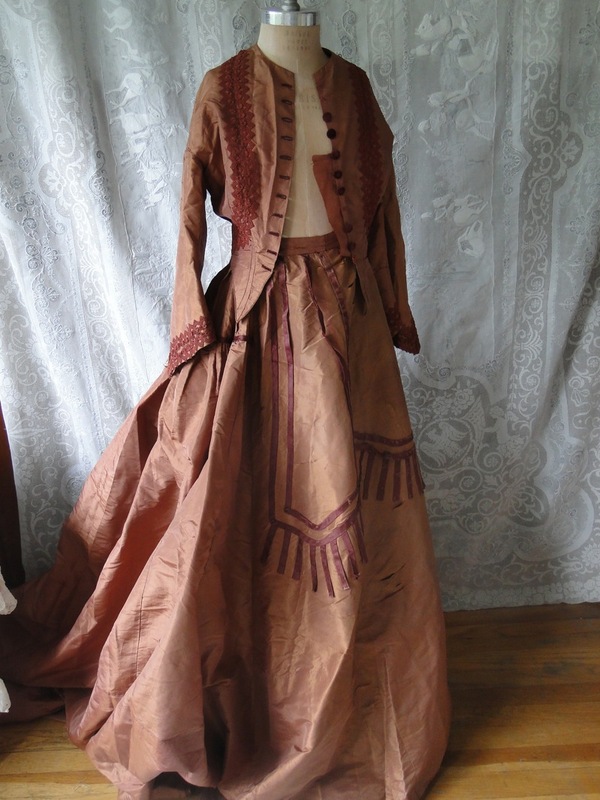 Circa mid 1860’s,Part of museum deaccession.There are FOUR items in this listing. 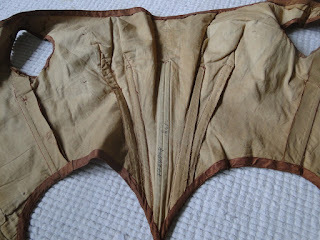 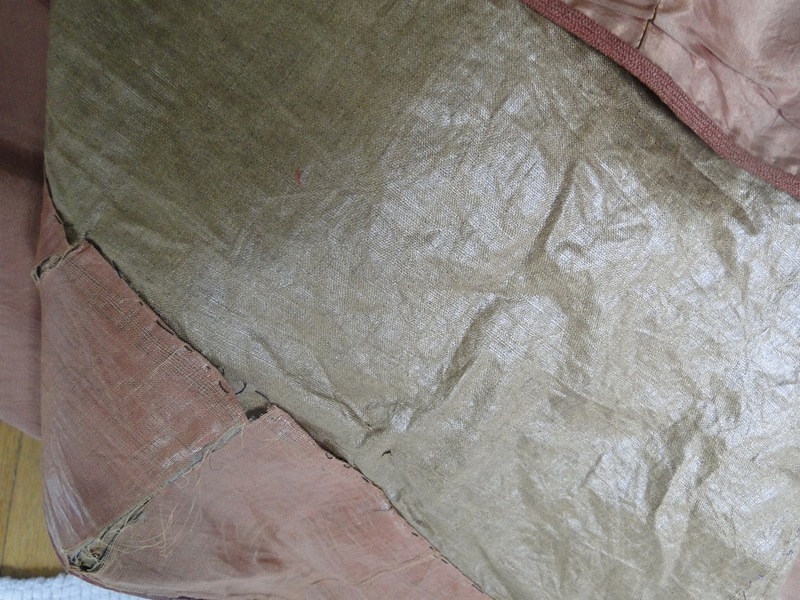 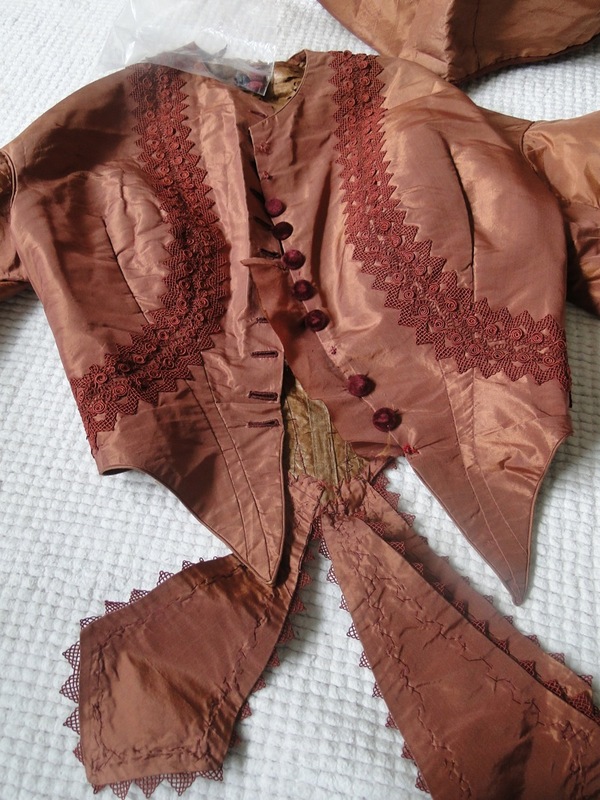 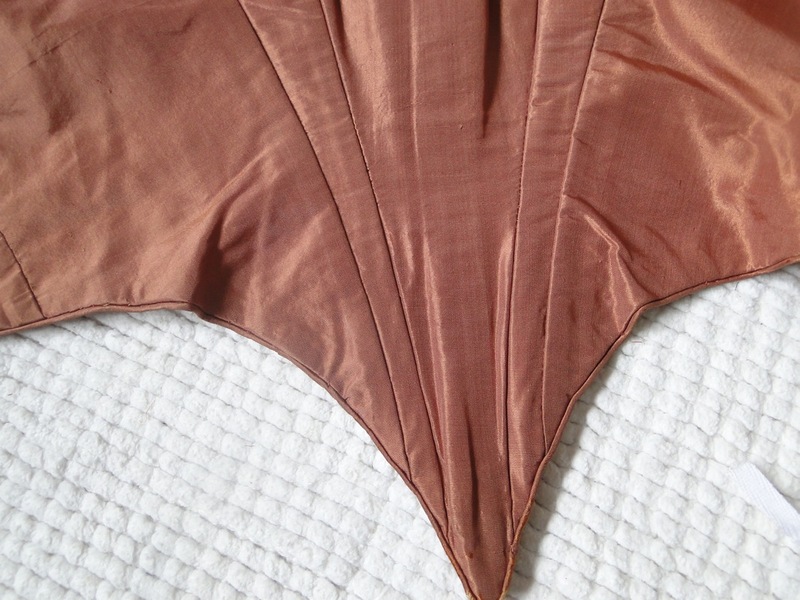 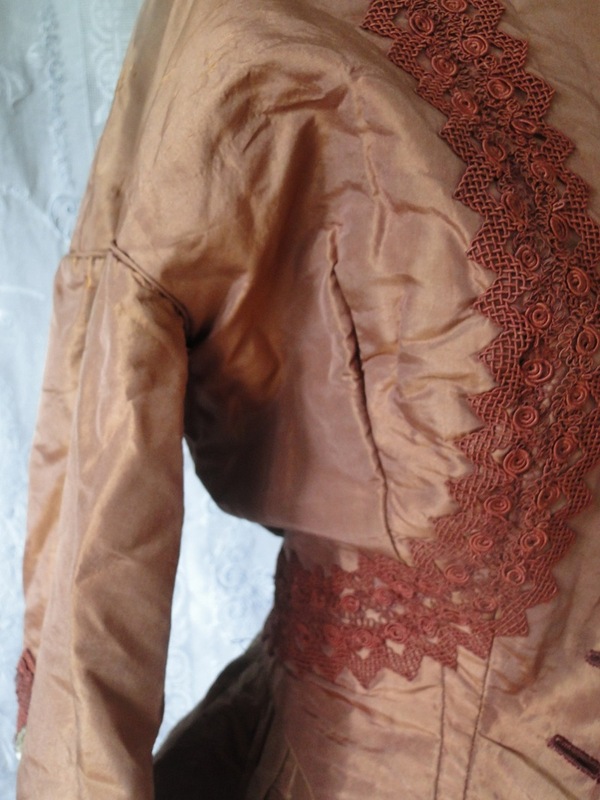 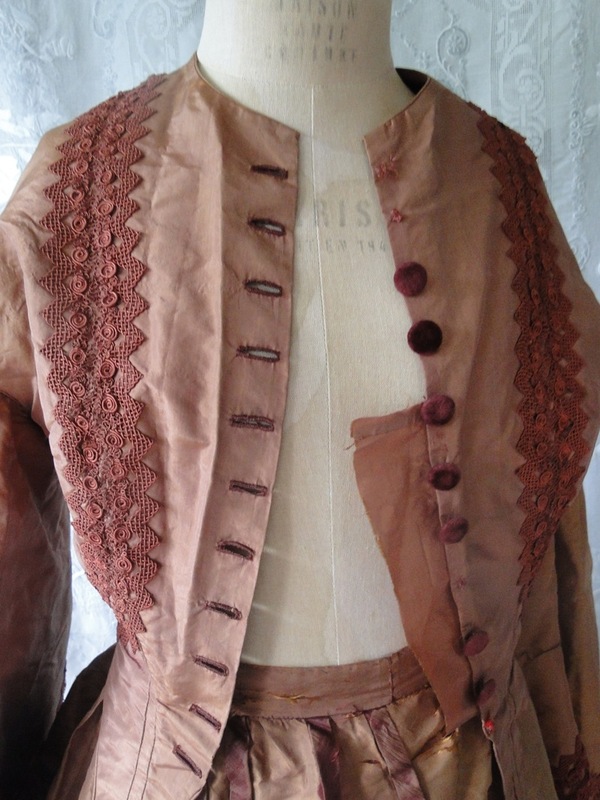 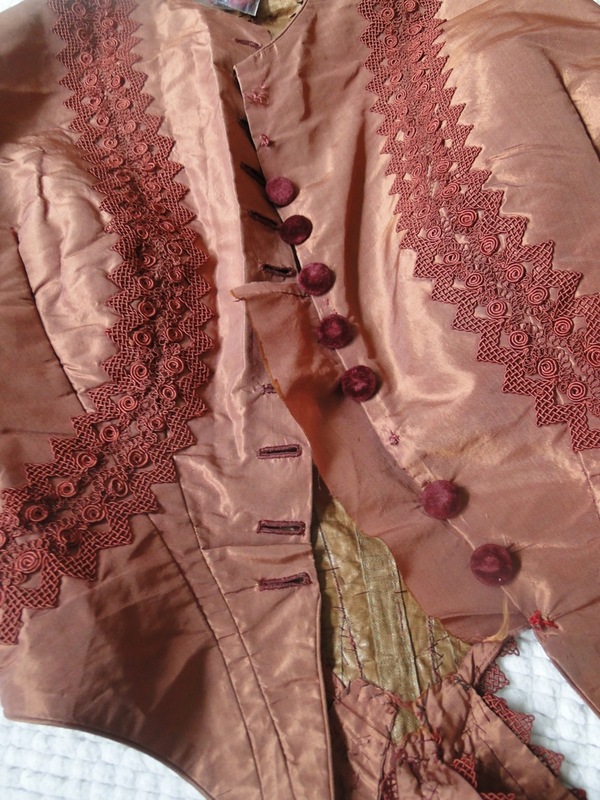 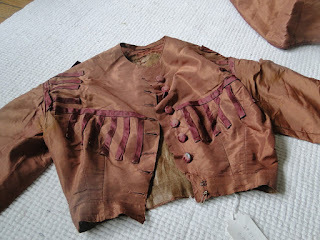 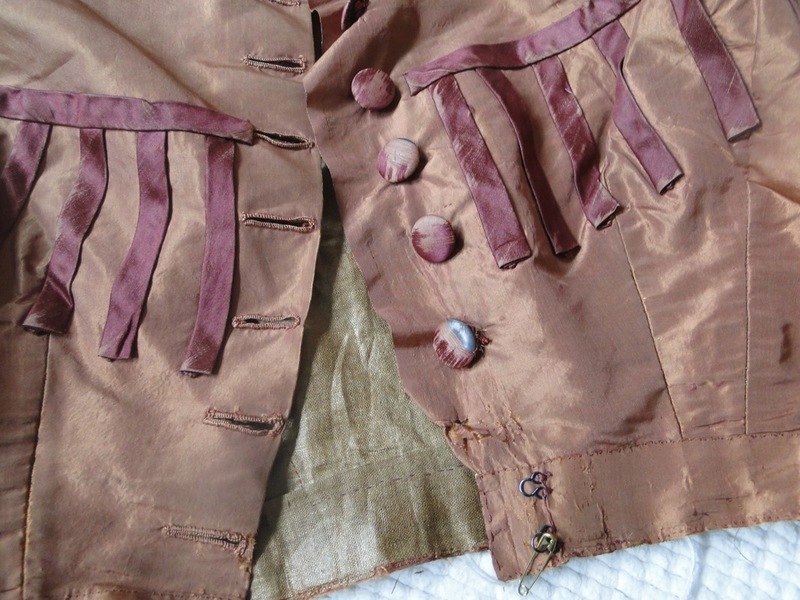 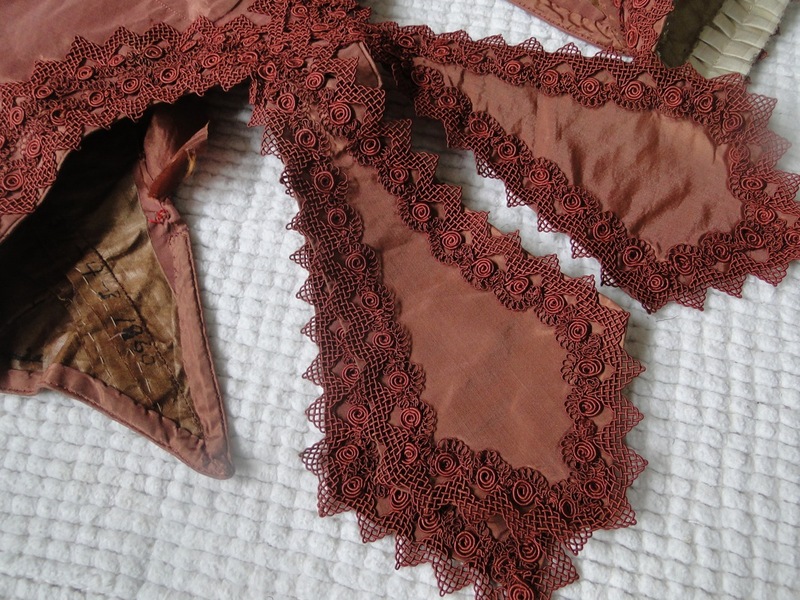 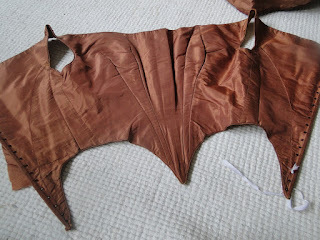 A rust colored silk ensemble that consists of a skirt , a inner bodice and two jackets.the inner bodice is in good condition but has some stains near armholes. The jacket with pagoda sleeves and trim and buttons is mainly good, there are 4 missing buttons,a couple of light small stains and damage at the back neckline.,it is lined in waxed chintz.The other jacket has wear and splits on sleeves and back of jacket..think it might be wise to use this jacket to help repair top back of the other jacket. The skirt has a great volume but has splits and wear. There might be good parts that can be used or gown would need to be lined and fixed by inside and used as display only.. or for pattern etc.There are there additional loose buttons.This item is for display..not for wearing, the skirt is too fragile in certain parts. 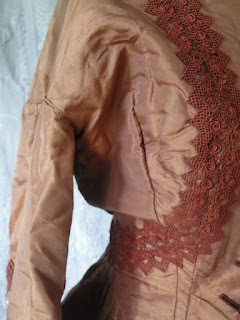 This isn't from the mid 1860's - not with those sleeves and those points in the waistline! 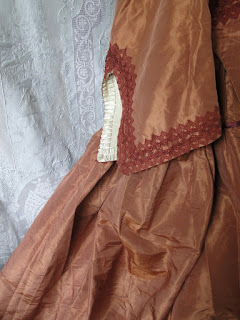 The one bodice that lacks a point most likely is from about 1865 if not a bit later but the one with the pagoda sleeves and the point or that ball gown bodice? 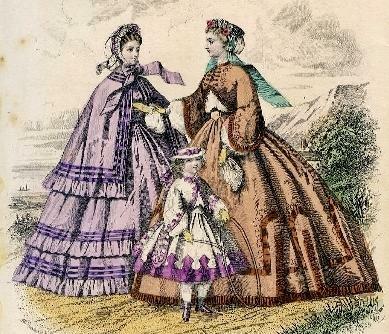 1861/1862 all the way.